Iona Blog : "So give me hope in the darkness that I will see the light"; yes I love Mumford and Sons! "So give me hope in the darkness that I will see the light"; yes I love Mumford and Sons! So it's late Sunday night, I'm sat sipping a vanilla chai latte and it's snowing. Ergo life is pretty much perfect right now. 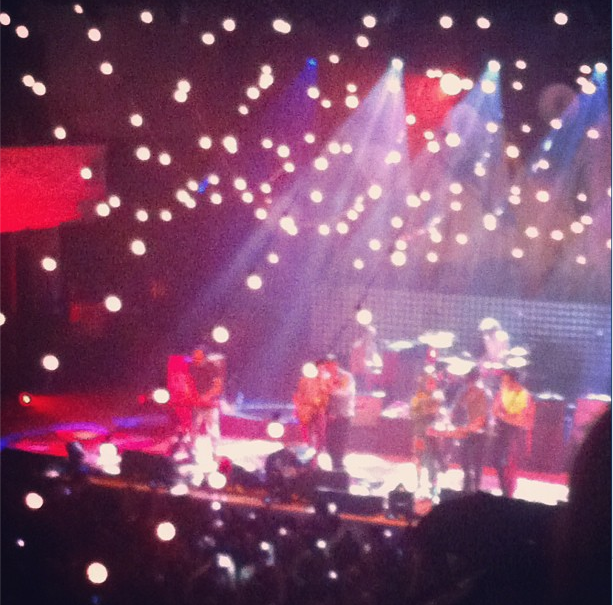 Last Sunday I went to see Mumford and Sons, and for those of you who don't know I love folky music. Probably in part, due to having been brought up on music much like that; Joan Bayez, Peter, Paul and Mary and Tom Paxton, to name a few... My Grandpa is a massive folkie and I guess a bit of it has rubbed off on me, I love Laura Marling, Edward Sharpe & The Magnetic Zeros and of course Mumford and Sons. So when I got the pre-sale email about the 'Tour of Two Halves' (Mumford's current tour) I knew I had to get tickets! White Blank Page; definitely a contender for my favourite Mumford song, it's actually from their first album Sigh no More, which is pretty much the soundtrack to when I lived in Australia. And although it sounds depressing I listened to this song when I was feeling a bit down... It reminded me of home and though it's sad it's also beautiful and makes me happy, hearing it live was simply incredible. I beamed from ear to ear when I realised they were playing it. Dawes: the support act for Mumford, are a California based 'roots rock' band (I got it from Spotify don't judge me!) and were not only incredible live but also so sweet, they even performed with Mumford later in the gig. I haven't been able to stop listening to their song 'When my Time Comes' since last Sunday! Ghosts That We Knew: listening to this song live was one of the best experiences ever... it was hauntingly beautiful. This is a song from the second album which I've been listening to so much over the last few months, and when I've been feeling pretty crappy this song speaks volumes! "So give me hope in the darkness that I will see the light" it says it all really. Babel: the title track of the new album and how the show was opened and it was simply amazing (I'm sorry I keep repeating adjectives but I just loved it!) the start of this song is one of the best intros ever and yeah it was just perfect. Lastly a random one; Piff! You're all thinking (wtf?)... Piff the Magic Dragon is a comedian/magician who was a support act for Mumford and Sons but we actually missed his act (well I think that he performed...) as we were sat in the bar (I wanted to watch not knowing who it was, but the parentals were having a wee swally...) And I didn't find out until during the show when Piff (and Mr Piffles) came on stage during a song! The reason I was so excited is because 1. Piff dresses up as a dragon...2. Mr Piffles is a chihuahua dressed as a dragon. 3. 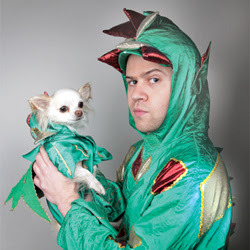 I met both Piff and Mr Piffles like 3 years ago at the Edinburgh fringe! Random but amazing, Mr Piffles is the cutest and seeing the two of them on stage made me so happy! Blurry but brilliant... this makes me happy. Mumford and Sons-Lover of the Light. Also this video is beautiful. Apologies for the Mumford and Sons ramblings... but I was reminiscing about last week :) Normal service will resume tomorrow.